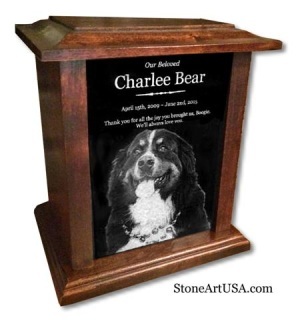 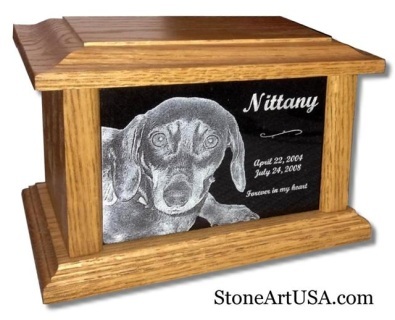 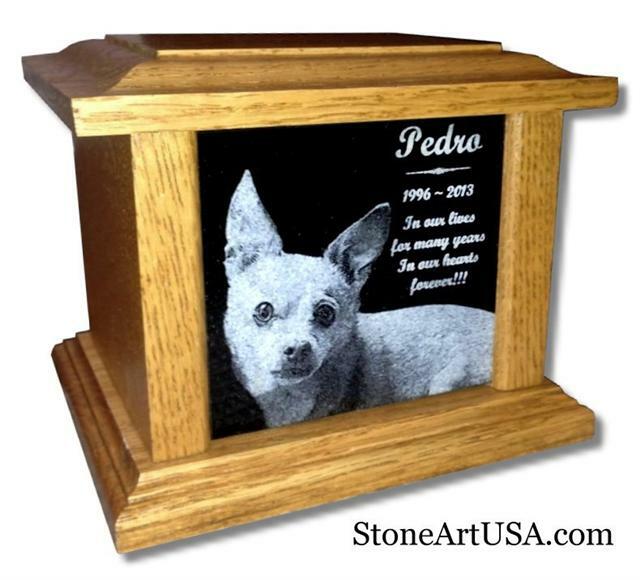 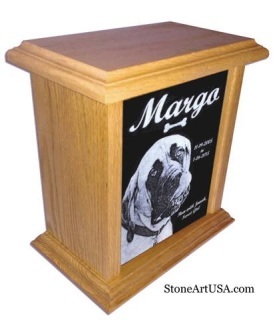 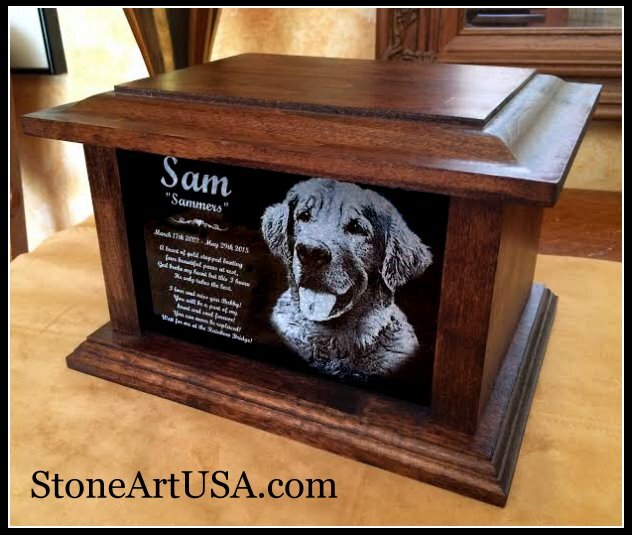 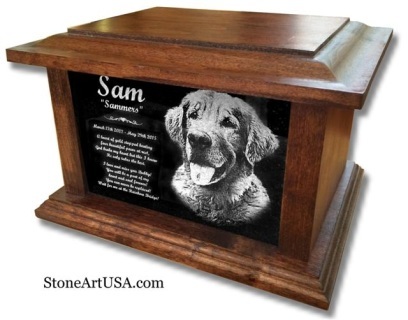 My wooden pet urns are professionally made by Williams Custom Woodworking of Irving, Texas. Made of solid Oak or Alder with consistent wood grains and fine finish. 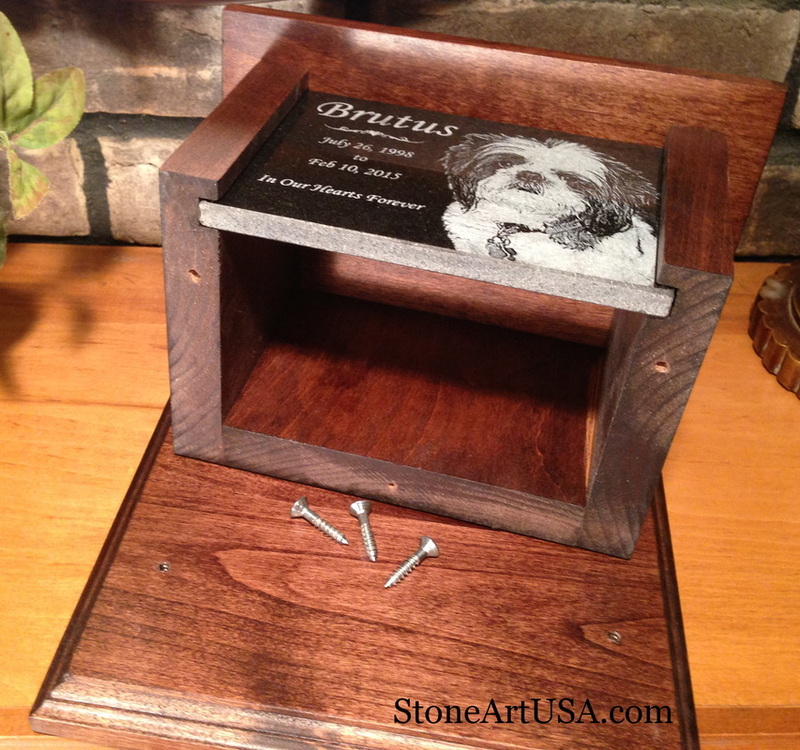 Three screws enable the bottom to be removed for easy access and placement of the cremains. 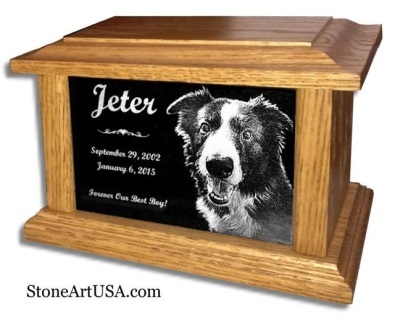 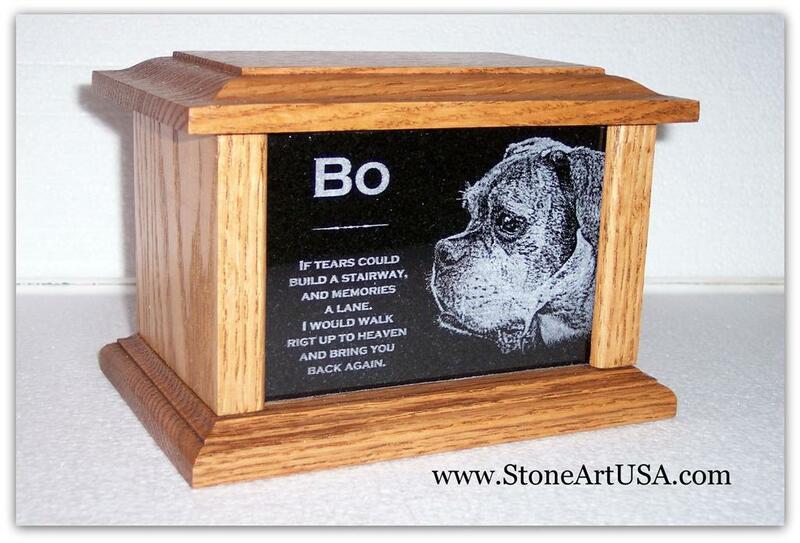 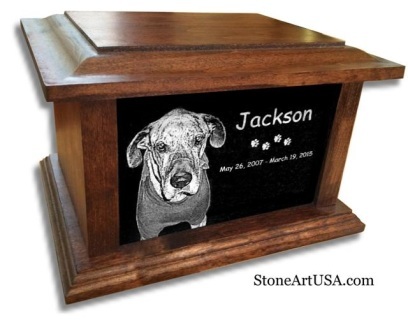 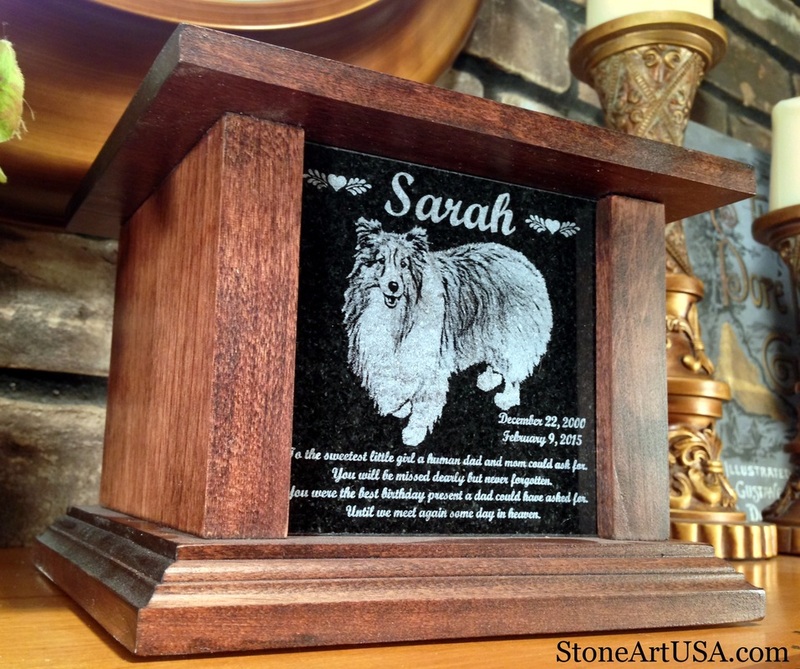 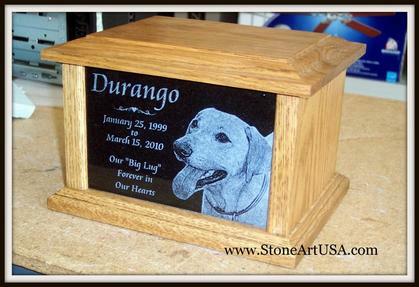 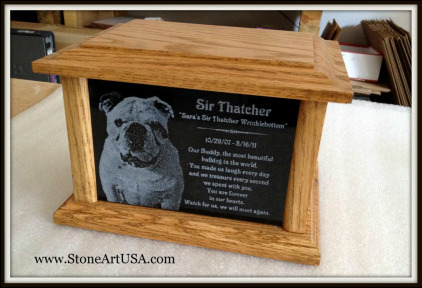 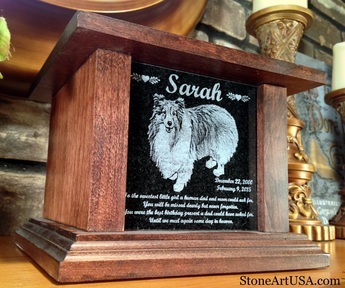 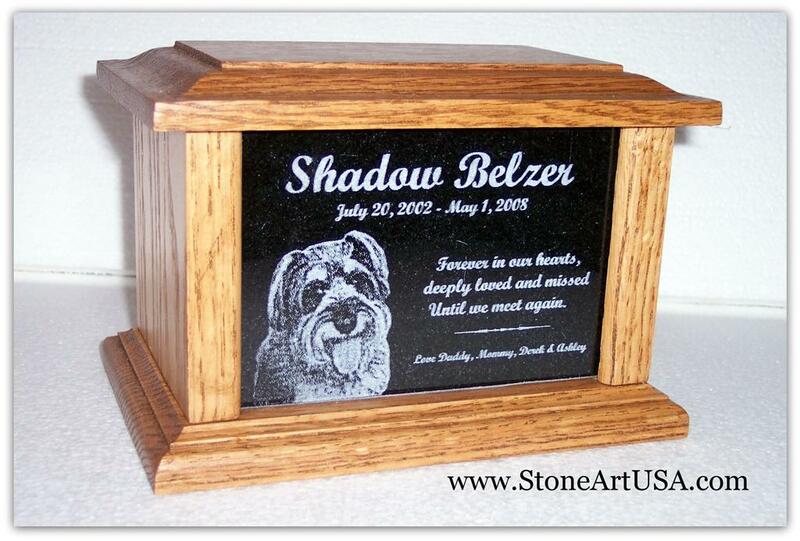 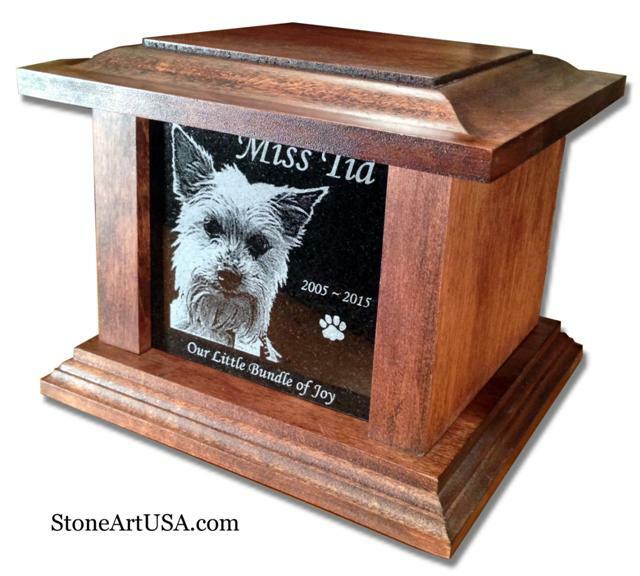 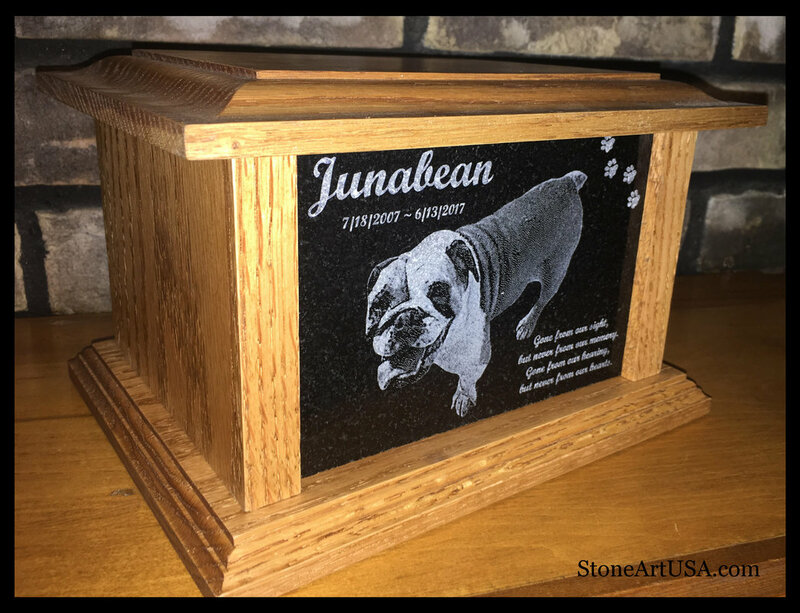 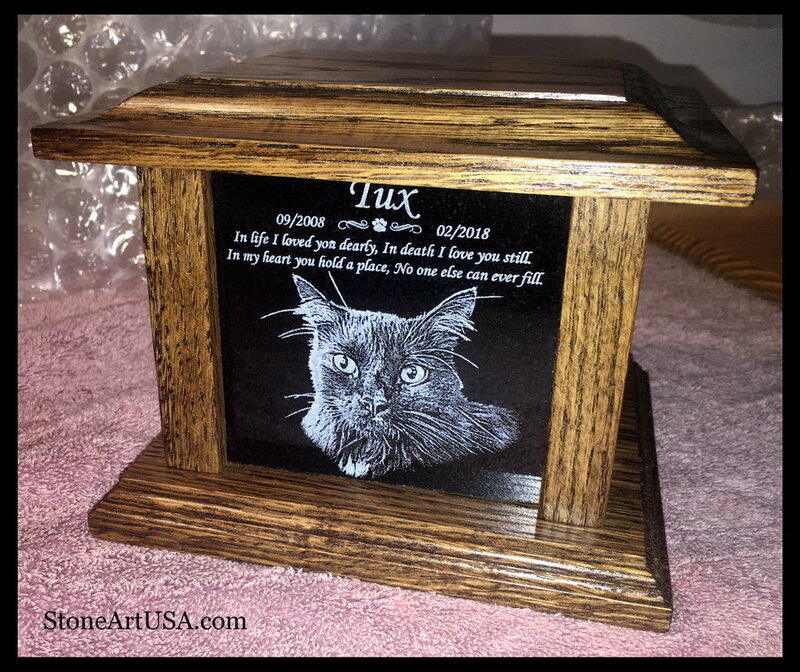 Your text and pet's photo are permanently laser etched into the inset jet black granite plaque. 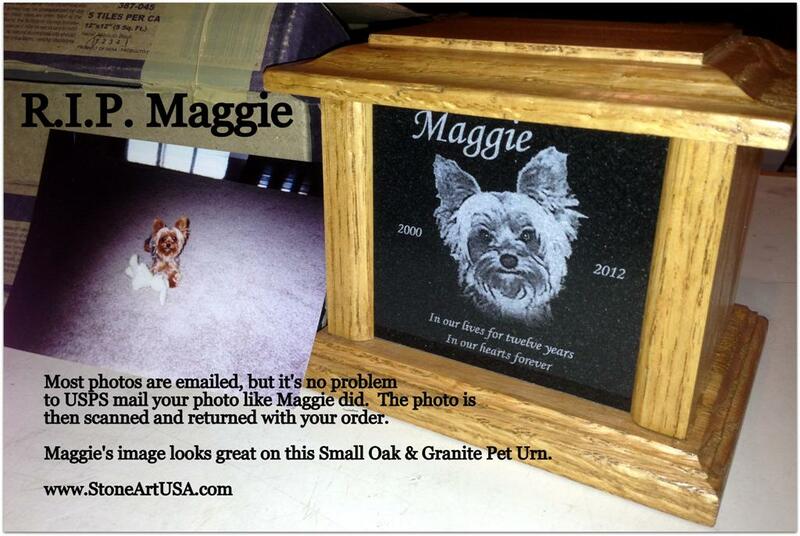 Indoor display only. 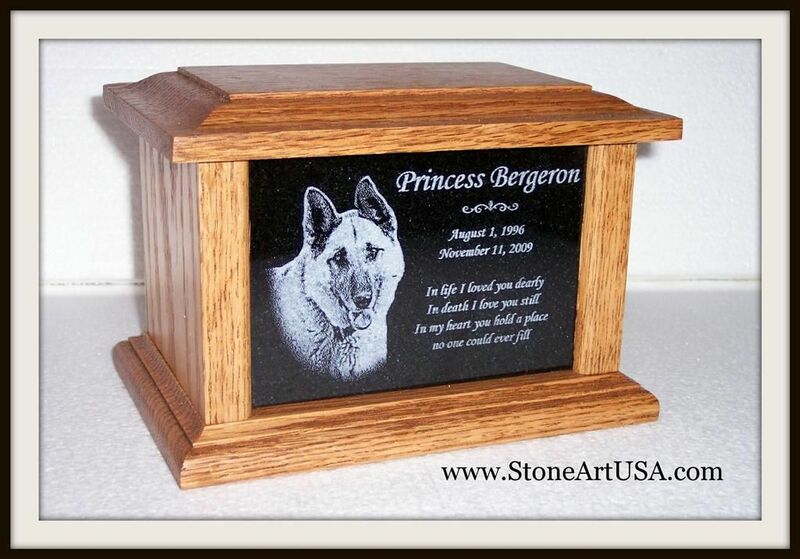 ​A proof will be sent for you to review prior to production.